Ahh the nights are finally drawing in and the summer pieces are finally being packed into the wardrobe for another year. So its time to look for some new outfits to draw some inspiration on. I am really loving the fact that this season is filled with colour and prints and not conforming to the usual black, greys and navy blues. So the outfit that I have picked is filled with beautiful Autumn tones. First up is this super cute Anjelica Cherry Print Dress from Whistles (£140). This print is perfect for the change in season. 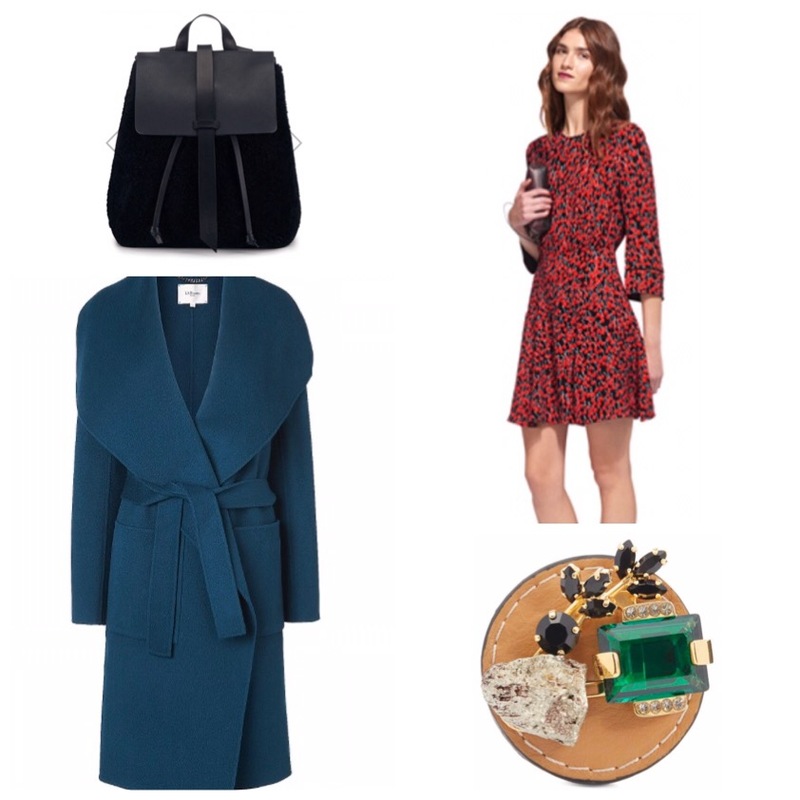 At the moment you can wear this dress with a pair of heels for an evening out and then adapt it when the weather gets colder with a pair of tights with a little leather jacket. Next up is my ultimate coat of the season. 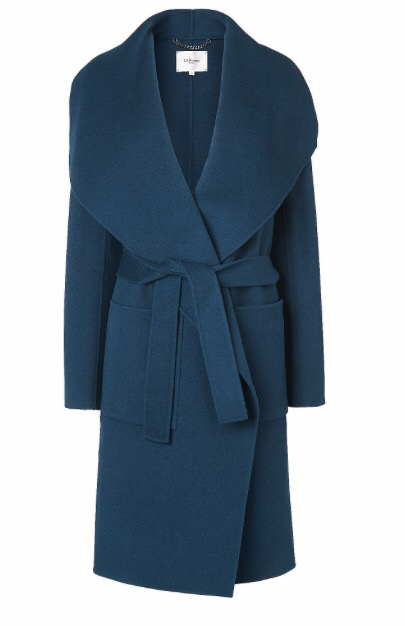 I blogged about it the other day (Fran Wool Coat, LK Bennett £450) and I am in love but now I’ve seen it in the Evergreen colour I love it even more. Such a great colour for the winter but gives you that added worth in tone. Don’t forget Grazia promotion is still running until 24th October so plenty of time to grab a cool 25% off. 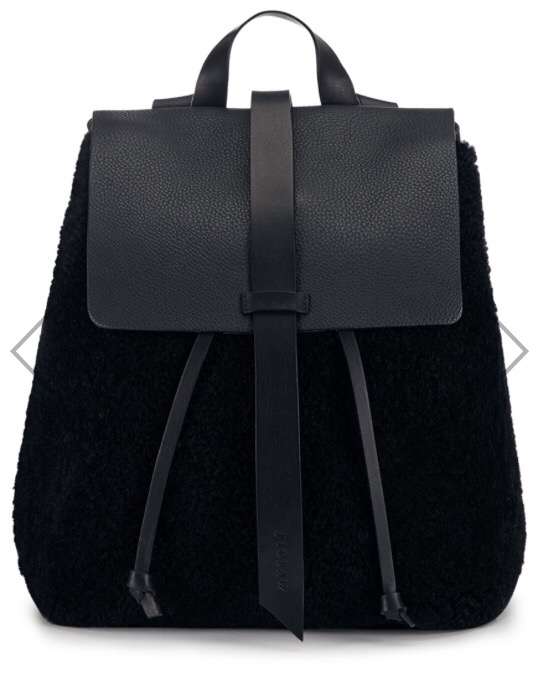 The bag of the season has to be the backpack this year and what a perfect bag to have especially in the busy cities. Throw everything in and off you go. Especially in the winter you need to be carry the gloves, umbrellas and the cold essentials. What I love about this backpack (Blake Shearling Backpack, Jigsaw £198) is that it has a great balance between practical and stylish. You can also see the quality that has been put into this piece using really soft leather which will only get better with age. To finish its all about accessories. Always think of the big picture of entire wardrobe you can always use accessories for multiple uses. 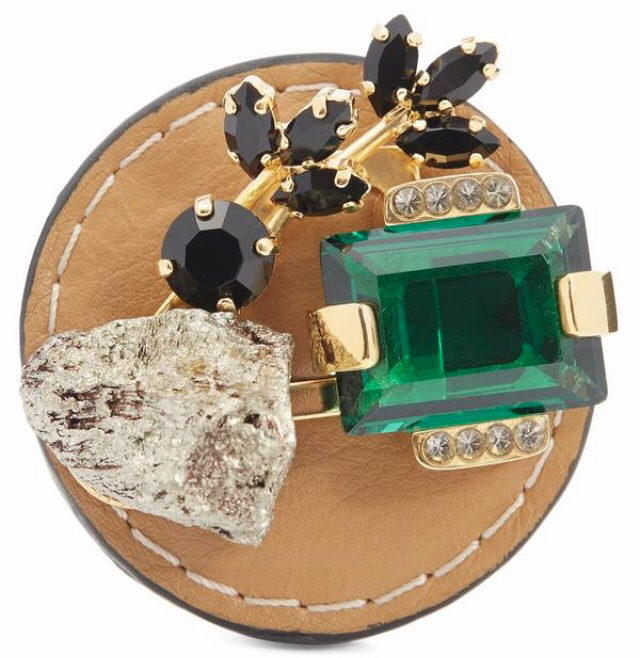 This brooch is a perfect addition to your collection with Pyrite and Crystal gemstones used on a leather base. (Marni at Liberty, £220). You use brooches for many things as Hair accessories to pins for scarves. So get adventurous. Hope you enjoy the post and have a great day guys!!! The nights are getting colder….